While there have been pen shows in Boston in years past, the prospects were looking a bit bleak for 2014. Last year's show organizer kind of went dark regarding plans for a 2014 event, and I had given up hope by the time the summer months rolled around. 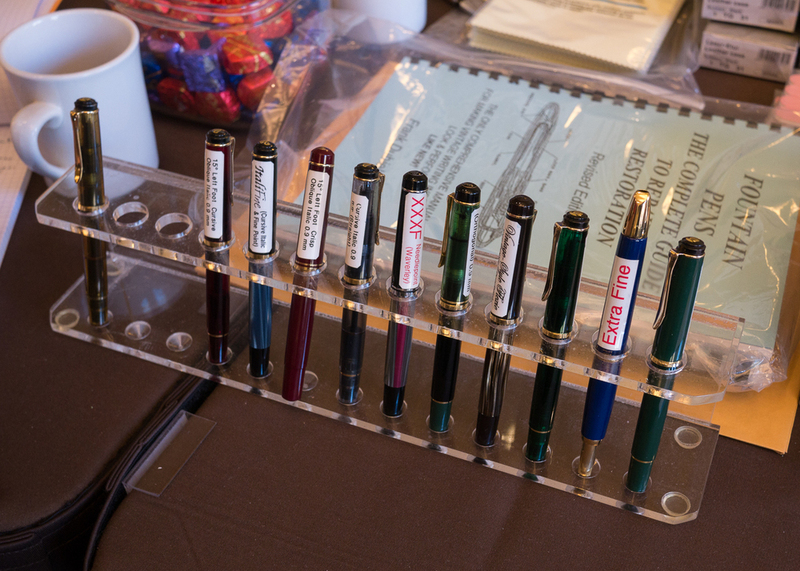 Fortunately, however, some members of the Boston pen collector community stepped forward a couple of months ago with plans for the Commonwealth Pen Show, which I attended on Sunday. 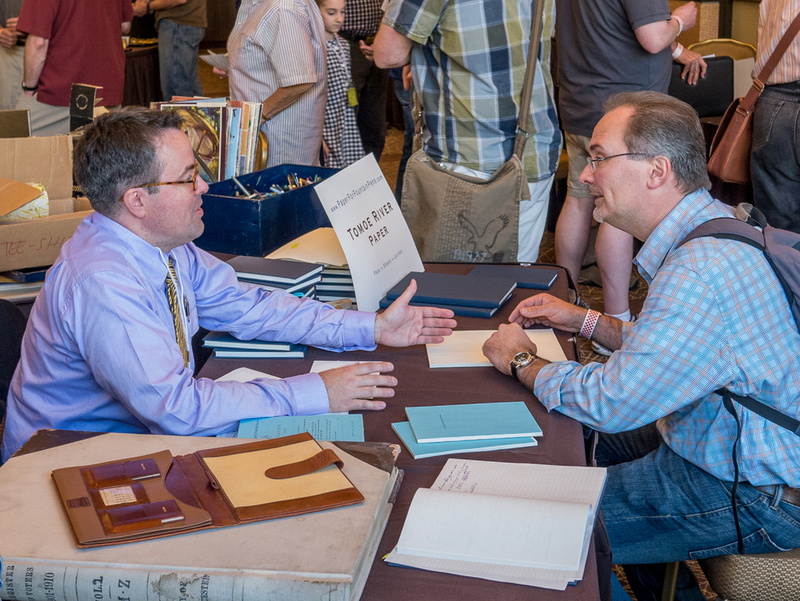 Since the Commonwealth show popped up on relatively short notice and was also running the same weekend as the higher profile Dallas Pen Show, the majority of exhibitors were vintage dealers. That said, there are some great ones in the Boston area. Richard Binder, who is based in nearby Southern New Hampshire, was the marquee attraction for those looking for modern pens and nib work, though Boston's Bromfield Pen Shop and Paradise Pen were also on hand. Even though this year's Boston show was a bit of a reboot, it was well-organized and well-attended. The hotel ballroom where it was held was perfectly sized for the exhibitor and attendee turnout. Even though the show was on the smaller side, there was definitely a buzz in the room. At the same time, it didn't feel cramped. I haven't yet dabbled in vintage pens, so the show was a great opportunity for me to educate myself. Several of the vintage experts at the show patiently answered my newbie questions and offered some good suggestions on where to get started. Vintage pens have been on my mind for the last month or so, and I went into the show thinking that I might purchase my first vintage pen. Instead, I came away with the realization that I'm more of a modern pen guy (for now). On one hand, I'm really interested in vintage pens and the overall history of the pen industry. I'm just not a collector of things by nature. Plenty of people do buy vintage pens to use regularly, but I realized that this just isn't where I'm at right now. Also, as someone who isn't yet educated enough on vintage pens to bargain hunt, I feel like I can get more bang for my buck with modern pens. I also tend to favor larger pens with something other than gold furniture, which is the opposite of what many vintage pens seem to be. That wasn't necessarily a disappointment, and it's quite possible that a year or two from now I'll be so gaga over vintage pens that this post will seem comical. But in a way it was liberating to focus my efforts squarely on modern pens for the time being. I didn't have any pens in dire need of repair or adjustment, but there were a couple with a "probably could be better" classification. I got to the show early and was able to secure the number three spot on Richard Binder's nib work list. I had him do an adjustment on my Pelikan M405. It was a treat to watch him do his thing, and he definitely took my Pelikan from good to great. I also had one of my Vanishing Points adjusted by Jim Baer, a former Binder apprentice who now runs his own shop. (If you've run across "JB's Perfect Pen Flush" in your travels, the J.B. is for Jim Baer.) Jim really took the time to observe how I write and help me get my pen just right. I have two Vanishing Points in the exact same nib size, but I always favor one over the other. It will be interesting to see whether the tune-up turns the neglected sibling into the favored child. While waiting for my turn with Richard Binder, I spent quite a bit of time ogling the Edison and Bexley pens on his trays. 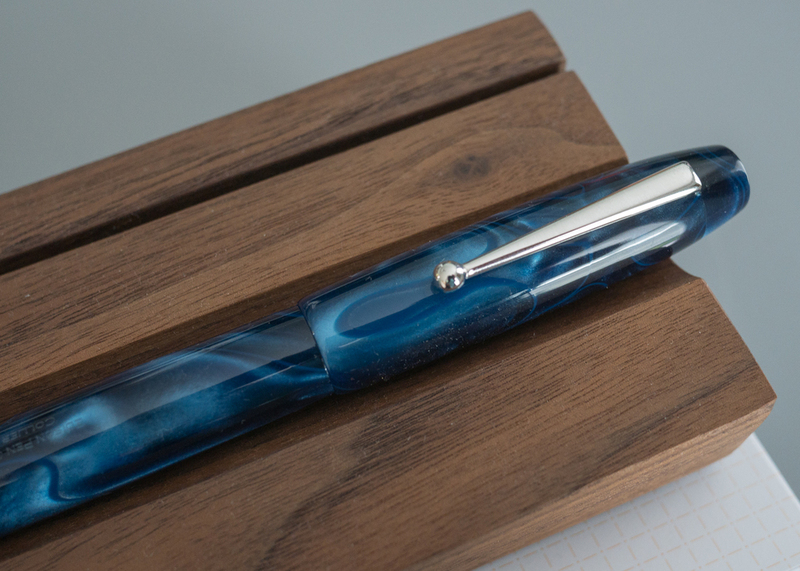 Once I had explored a bit and come to my modern versus vintage realization, I set my sights on a modern American-made pen. The one that called out to me was the "blue steel" Edison Collier. I had researched Edisons quite a bit previously, and I would not have expected the Collier to be the one I jumped on. But this is a great example of the value of pen shows. Once I saw it and held it, I like liked everything about it. I've been turning into a gold nib snob lately, bit since I was buying the pen from Binder, I decided to go with two steel nibs and get a little creative. Richard's table had a great little display of Pelikan testers where you could try out his various custom grinds. In addition to being a lot of fun to play with generally, this really took a lot of the risk out of selecting a custom grind. I ended up getting a stock fine nib for day-to-day use and a 0.6 mm stub for play time. This also meant that my earlier Pelikan adjustment was just the opening act for the real Richard Binder magic show. Richard famously adjusts the stock nibs he sells as well, so I walked away with a great pen that is 100 percent ready for action. A full review will be coming once I have some more usage time under my belt. Along with my nib work and Edison acquisition, I also loaded up on Tomoe River stationery goods from Jay Potter of paperforfountainpens.com. He seems like a super nice guy, and he's living the dream we all have about ordering a truckload of Tomoe River and doing awesome stuff with it. He had the easiest sales job at the show: "Are you familiar with Tomoe River paper?" If no, point down and say "try it." 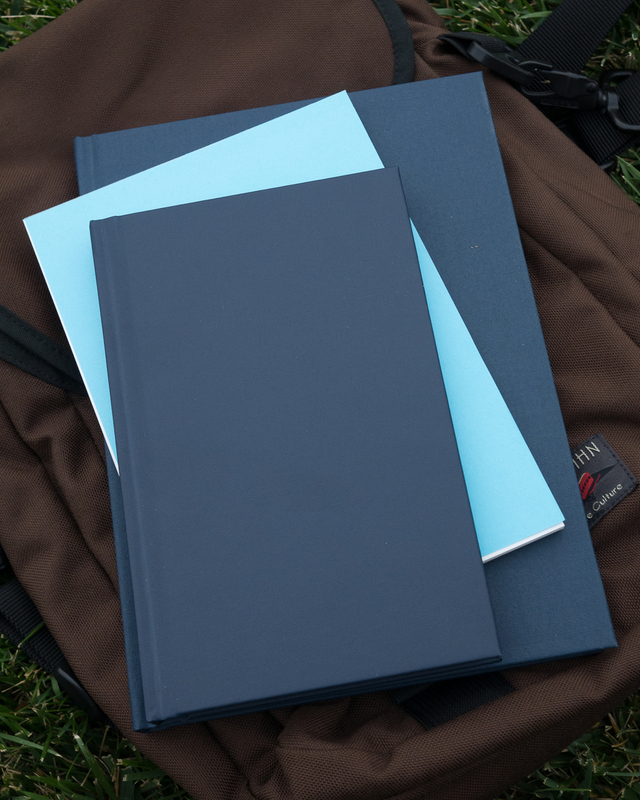 He was debuting a new large bound journal, and I decided to wander out of my A5 comfort zone and give one a try. (UPDATE: These are now available for sale online) He also had "seconds" of the smaller version of the same journal. I put "seconds" in quotation marks intentionally, since it was near-impossible to find anything wrong with them unless he pointed it out to you. Even then, my reaction was, "Oh, is that all?" I also picked up a small writing tablet. So I am swimming in Tomoe, which is always a good place to be. Take my knowledge of vintage pens from next to zero to something slightly higher than that. Gain some focus on where I want to go next with the hobby. Find a great new pen that I probably wouldn't have purchased had I not seen and held it in person. 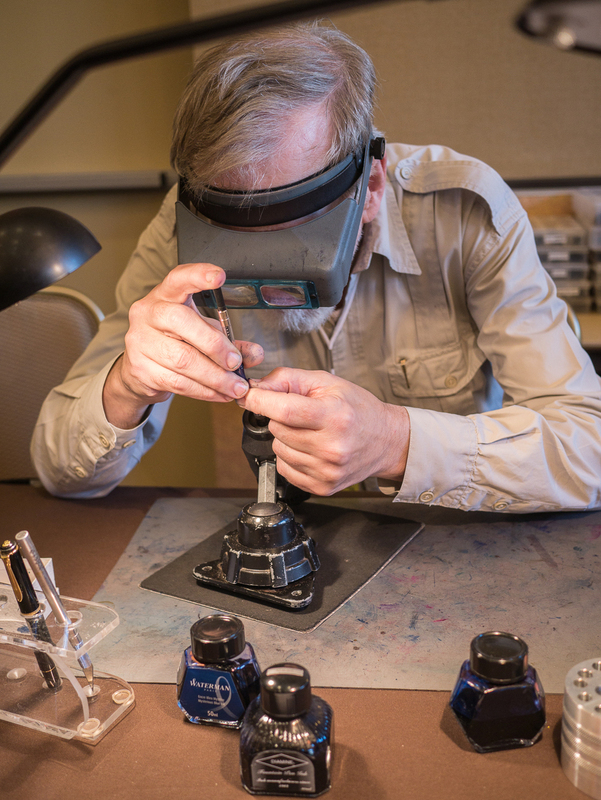 Get a total of four nibs worked on by some of the most knowledgeable folks in the business. The great online educational resources and retailers out there remain dear to me, but pen shows will definitely play a big role in my enjoyment of the hobby moving foward.